This practical focuses on recording the pH at intervals when calcium hydroxide or calcium oxide reacts with dilute hydrochloric acid. 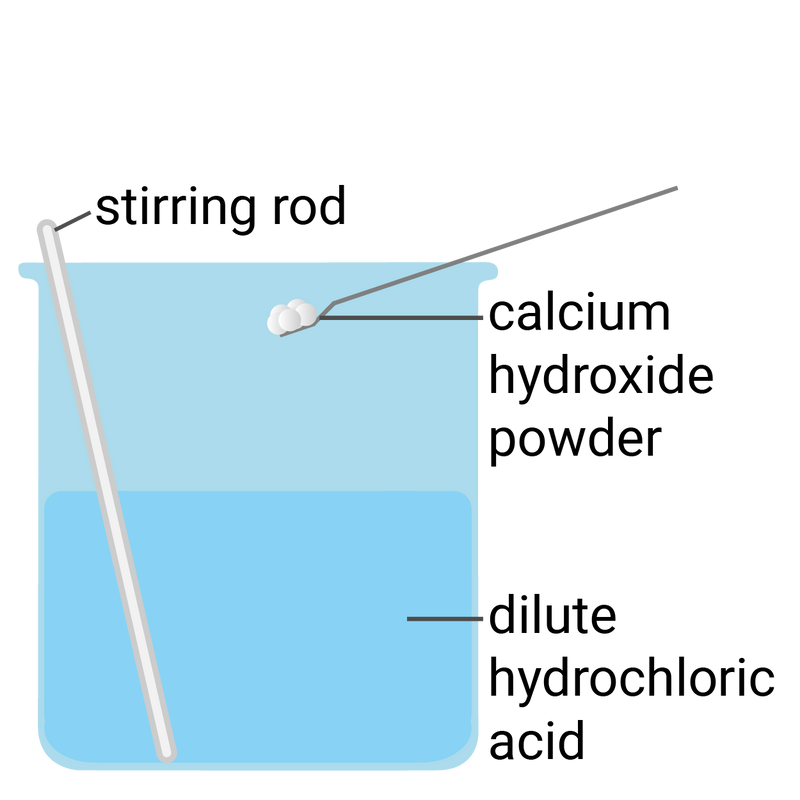 An initial mass of the solid must be added to a fixed volume of the acid, and the pH recorded each time more of the solid is added to the acid. 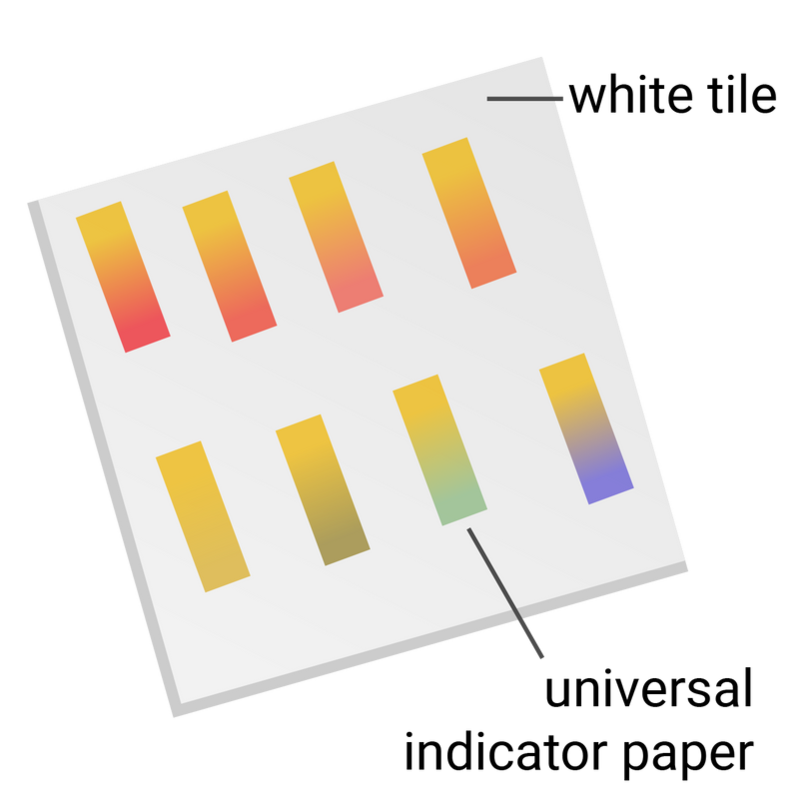 The pH can be recorded using a pH meter, or universal indicator paper with a glass rod used to take a pH measurement at each interval. Plot a graph to show how the change in pH was affected by the amount of calcium hydroxide added. Use the graph to estimate the number of spatulas of calcium hydroxide needed to produce a neutral solution.